Use TB2QA8N to reference this item. 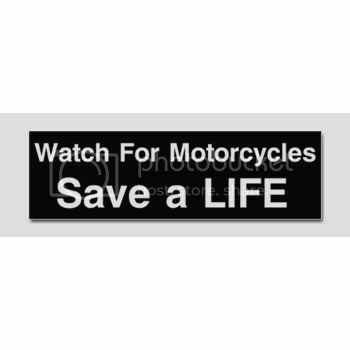 This mission of this coin is to raise awareness for motorcycles sharing the road with other vehicles and to help educate riders about the importance of having the proper gear for riding in any given situation. 1. Your colors. 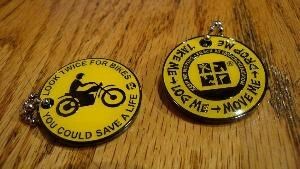 Can’t ride a bike without those. 2. Leather Jacket preferably one that has a removable lining and good ventilation. 3. Chaps. Make sure they fit well and are in good condition. 5. A couple of extra doo rags. I’m always losing those things. 6. Face mask of some sort. I’ve got a windshield on my bike and that protects me most of the time but in heavy rain, hail and the cold a neoprene face mask really helps. 7. Sunglasses and/or goggles. I personally like the convertible combos, which can change from sunglasses to goggles and have interchangeable lenses. 8. Rain Suit. One of those cheap sets from Wally World won’t do. Sure they may keep you dry for awhile, but more often than not you’ll get 30 miles down the road and the suit will be flying behind you like streamers. Don’t skimp here. A couple of bandannas will always come in handy. 9. If the weather is going to be extremely hot then a polymer crystal cooling bandanna is a great piece of gear to be carrying. I usually carry this in a small baggie that helps keep it fresh and keeps other things from getting wet from it when not in use. Dropped off to enjoy Bracknell! Will move on soon, thank you for sharing.